Come explore Sonoma County’s dynamic and diverse offerings. From its internationally proclaimed wineries, amazing cuisine, and charming hotel and inns—to its magnificent coastline, redwoods, and sculpture gardens—Sonoma County truly has something for everyone! 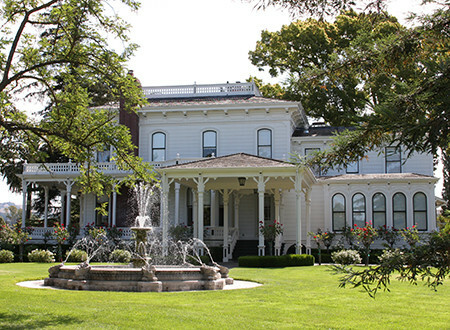 Sonoma is home to California’s oldest winery and historic landmark, Buena Vista Winery and Vineyards. The region is considered the birthplace of California’s wine country, with grapes planted as early as 1812 on the Sonoma coast settlement of Fort Ross. Its diverse landscape, with its varied climates and soil conditions, produces outstanding harvests from several grape varieties. Only in this unique territory (with 12 appellations and subsequent microclimates) can one savor a coastal Pinot Noir and an inland Cabernet all on the same trip. Sonoma’s wine scene is leisurely and fun loving with an eclectic feel. The County spans 52 miles wide and 47 miles long with scenic splendor—dramatic cliffs overlooking the Pacific Ocean, magnificent redwood forests, and peaceful countryside. Sonoma County’s impressive array of natural wonders, outdoor and cultural activities, acclaimed restaurants, and charming yet elegant accommodations has earned it the Travelers’ Choice ® 2012 award for the No. 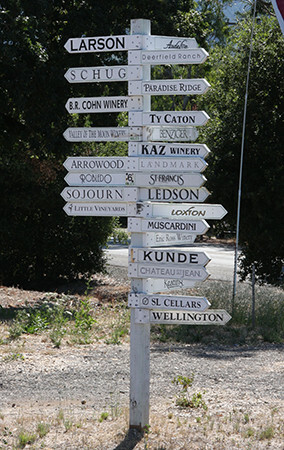 1 Sonoma wine tours destination in the United States. Wine preferences of the region are Cabernet Sauvignon, Merlot, Pinot Noir, Red Meritage, Zinfandel, Syrah (or Shiraz), Chardonnay, Sauvignon Blanc, Gewurtzstraminer, Riesling, and Sparkling Wine. Unique activities, exquisite spa services, gracious accommodations, outstanding cuisine, and a fabulous art scene complement Sonoma’s wineries. Only in Sonoma can you choose between whale watching and a ride in a vintage aircraft. Recreational enthusiasts can opt for cycling, hot air ballooning, horseback riding, golf, canoeing, kayaking, or fishing. Art and music enthusiasts have dozens of galleries and events to choose from, and Sonoma is rich with parks, beaches, gardens, and picnic spots.